The Searchmate brand was established way back in 1995 and is one of the best known and most respected names in personal introductions in the UK, we also have a very large national database and cover the whole of mainland Great Britain. 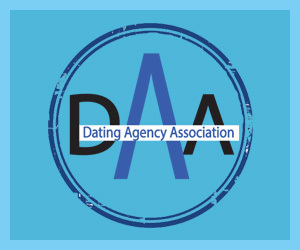 So wherever you are we are happy to offer membership and would be pleased to work with you – which is something quite unique in traditional dating in the UK, as many competitors only operate in quite small and highly populated areas. 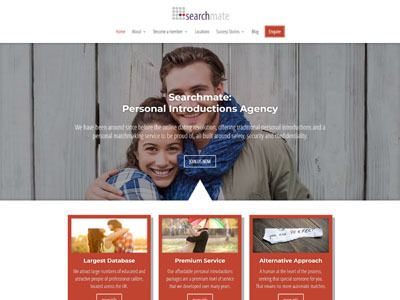 Searchmate offers a traditional personal introductions service, where clients work on a one to one with a Personal Matchmaker and all clients have been interviewed, ID checked and personally vetted, so it is a very safe environment when compared to online dating and many people find that imperative in these days of more than 1 million fake online profiles (according to the BBC’s Panorama) and with online dating fraud running at record levels. Right from the initial contact, you will be in touch with one of our Personal Matchmakers, who will be able to help and advise on the various membership options and recommend the most appropriate for you according to your specific needs. All age groups are covered and membership is open for people in their mid twenties, right through to those in active retirement. Costs of an annual membership with Searchmate begins at just £1,295 – which represents great value and is comparable to online dating. Our team is led by Julie Lazarus who is our Senior Membership Adviser and our Senior Matchmaker Tracey Cater, Julie and Tracey aim to provide an extremely personal service to our members. They are supported by Vicki Povey and Alex Rollinson as Matchmakers. No online profile – so you are completely safe and confidential. Only your Personal Matchmaker can access your personal details or photographs. Every member is interviewed, ID checked and vetted, so you are meeting genuine people looking for a long term relationship. A guaranteed minimum number of recommendations are provided. We cover the whole country and all age groups from 25+. We tend to attract educated, professional people, working in management, public service, academia or their own business . Searchmate is one of the UK’s leading Personal Introductions brands, that has stood the test of time and has enjoyed many thousands of successful introductions over the last two decades. Searchmate is a transparent and honest organisation and we work diligently to identify and provide that perfect partner for you, with the minimum of fuss.